ESPN’s Jemele Hill revealed that her mum was so upset with comments made by President Donald Trump and others that she called the White House. Hill came under fire from the White House when she called Trump a white supremacist. Hell hath no fury like a mother who feels that somebody has scorned her children. 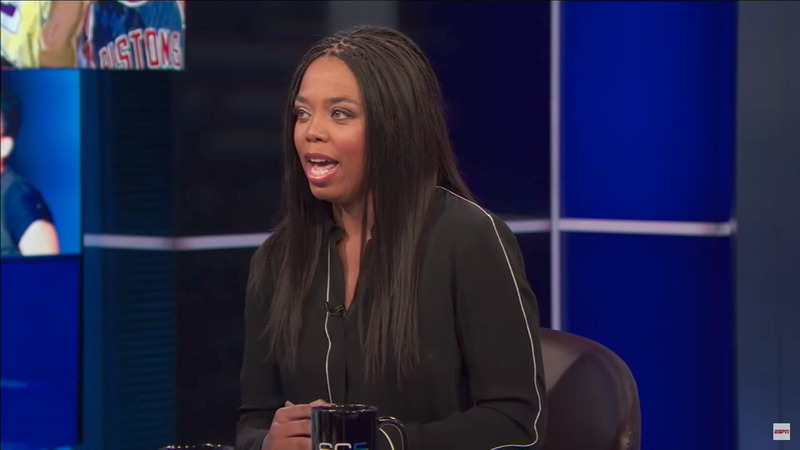 ESPN’s Jemele Hill – yes, Hill is still employed by ESPN – was a guest on “The Dan Le Batard Show with Stugotz” when she made an entertaining revelation about just how upset family members can be when their famous loved ones are trashed in the media. Speaking about the Philadelphia 76ers’ Twitter scandal involving president of basketball operations Bryan Colangelo and possibly his wife, Hill revealed that her mother once called the White House because she was so upset about the comments from President Donald Trump and others in his administration about Hill.